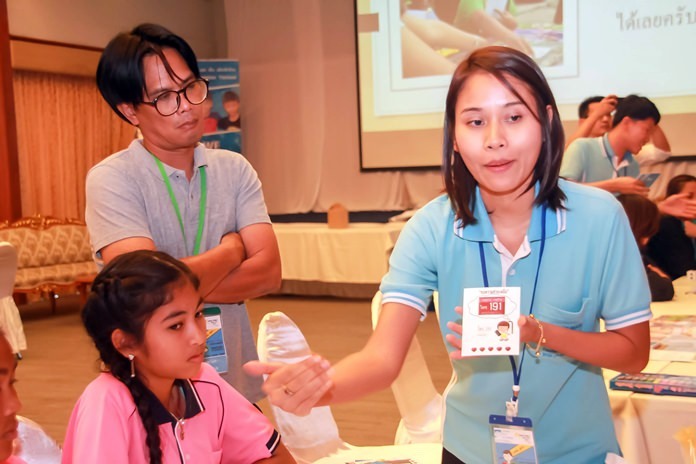 Ratchada Chomjinda, director of the HHN for Thai Children, welcomes honored guests and children to the Child Protection Card Game activities. 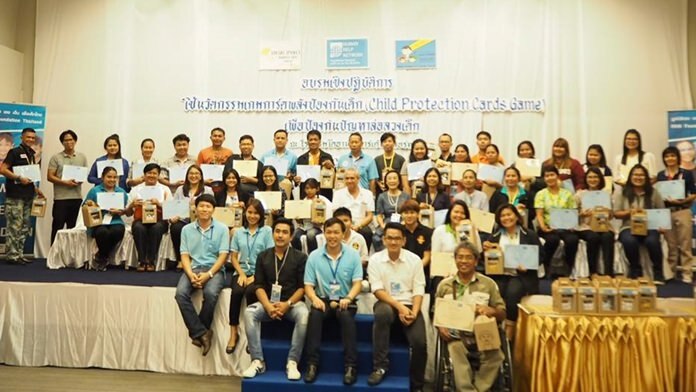 The Human Help Network Thailand hosted a “child protection card game” to raise awareness about keeping kids from falling prey to molesters and other criminals. 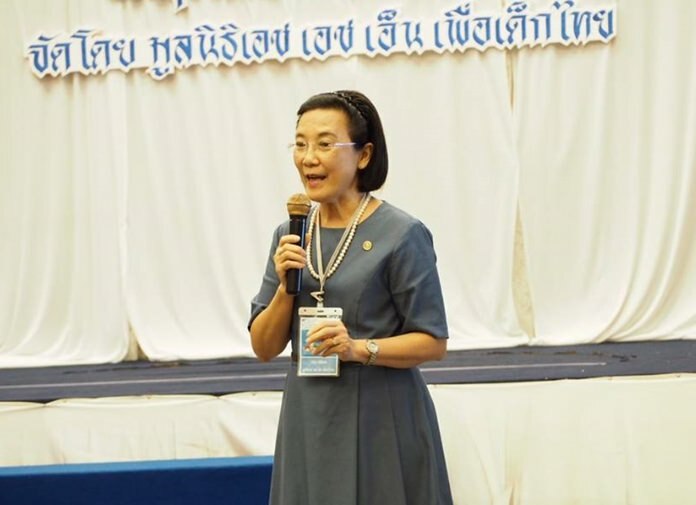 HHN Director Ratchada Chomjinda opened the March 21 event at the Diana Garden Resort with Pirun Noi-eemjai, director of the Drop-In Center, and Diana Group Managing Director Sopin Thappajug. 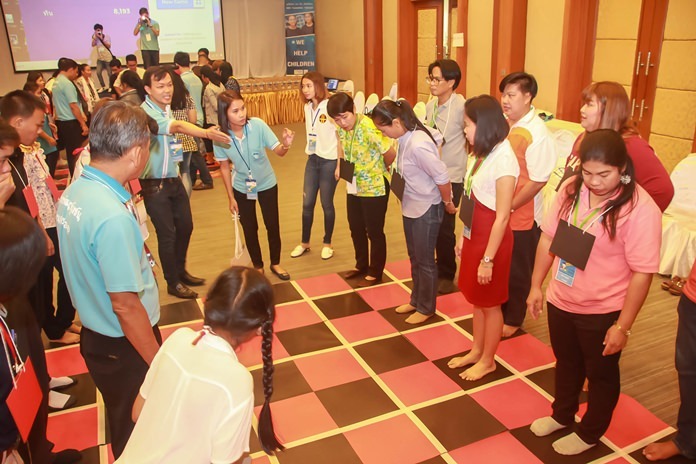 Local teachers and volunteers from Pak Ping Kumpai, Father Ray Foundation, Sotpattana Kindergarten and about 50 Thai and Southeast Asian children all participated. 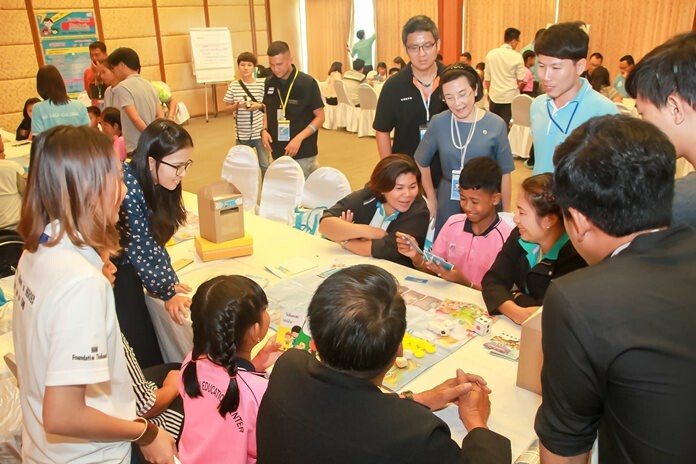 Kids were taught to play card games invented by Watcharapong Suebsiri and Thonghchai Poromachan from the St. Gabriel’s College, an all-boys private school in Bangkok that helps children stand their ground, avoid risks and protect themselves when needed. The cards also advised how the kids should behave when not with their parents or entirely alone, the right decisions to make, and what to avoid while they are waiting for their parents to pick them up from school. HHN supervisors guide the kids on how the card game works. The card game was not only educational, but also fun and the children seemed to enjoy playing with their friends. aThe children were taught to report any suspicious activities and call 191 when needed. About 50 children took part. Teachers, volunteers and social workers join the fun. 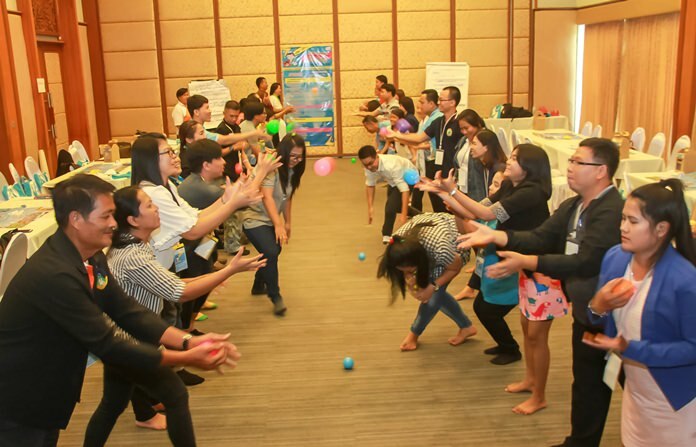 Other activities took place as well to keep the kids busy and active. Volunteers and teachers teach the children how the card game works and how it will benefit them and keep them safe.